Posted October 3, 2012 by Josette Farrell in Events. 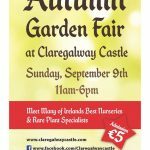 An autumn garden seminar will be held at Claregalway Castle (five miles outside Galway on the Tuam Road) on Saturday, October 6th. Among the speakers will be Klaus Laitenberger, the former head gardener at Rossinver Organic Garden Centre and co-ordinator of the restoration of the Victorian House who will deliver instructions on how to grow vegetables organically. Also on hand will be a representative from Irish Seed Savers. 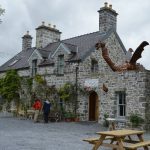 This group from Co. Clare focuses on the preservation of heritage seed and plant varieties that are suitable for Ireland’s unique growing conditions. On the day they will speak about planting an orchard, site preparation, rootstocks, varieties and maintenance. Heritage apple stock, plants, trees, shrubs and bulbs from visiting nurseries will all be available to purchase on the day. 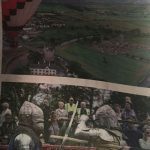 Future Forests nursery and garden centre from West Cork, Caherhurley Nursery from Clare and Dangan Nursery from Galway will be among those in attendance. Tickets for this event are available at €65 (includes lunch and coffee), with pre-booking advised. 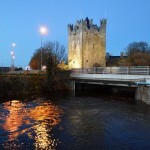 Telephone 091-799666 (office hours), or 087-6354747 (any time), for further details or visit galwaygardenfestival.com.